Asking for donations and soliciting for funds is never something to be ashamed of, as long as you are doing it for a good cause. In fact, people would be more inclined to help you when your intentions are made clear. However, we can’t simply rely on the goodness of others to make a change. It’s a collaborative effort that requires the participation of more than one party. 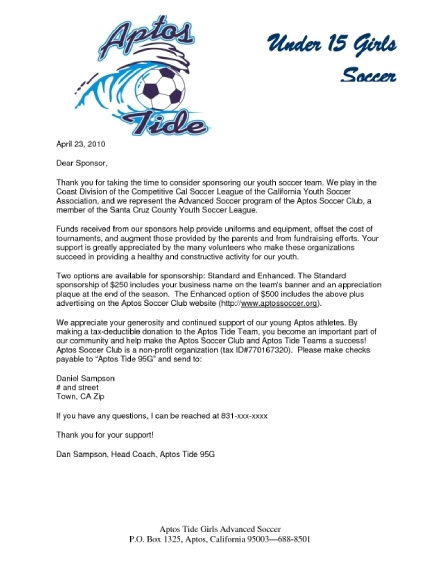 We must follow the right process of asking for sponsorship by sending a professional donation letter. So in this article, we will discuss how to do exactly that. Listed below are the key elements of a donation letter. 1. The Problem: Every nonprofit exists to help fix a problem. This is what makes your organization unique from others. However, you need to understand that not everyone will know what you are trying to do from the get-go. You need to make this clear by explaining what the issue is and what changes can be made to address it. You can even provide statistics and other supporting data to help get your message across. 2. The Solution: This is where you are meant to outline your proposed program for readers to find out where their donations are headed. The content developed in your strategic plan may even be used as a starting point for your letter. This has to be convincing enough to persuade readers to take part in your program as a willing sponsor. It wouldn’t hurt to include your track record in order to establish credibility as well. 3. What You Need: One way to achieve an effective donation letter is to be objective. You need to set a concrete goal to help inspire your readers to work toward it. Let’s say a GoFundMe page was set up to assist a cancer patient with his or her medical bills. The desired goal is almost always indicated in numbers for sponsors to refer to. By specifying the amount that you need for the campaign, people have an idea as to how much they can donate for your cause. 4. What the Gift Will Do: Don’t assume that people will simply give just for the sake of being charitable. Not everyone will be too keen about giving money away for something they know little to nothing about. Thus, show how this “gift” can help solve the problem and fulfill your mission. That way, donors will know exactly what they’re doing to make a difference in the modern world. 5. Urgency: Offer a deadline, even if it’s a year-long campaign. Like in a marketing flyer, building a sense of urgency will push your audience to act as soon as possible. It doesn’t have to be through anything too dramatic, as simple wording will be enough to motivate donors. This will help you rake in significant numbers at a faster rate. Communication works best when it is made direct and personal. When writing a letter, indicating the names and titles of your recipients is important to make them feel as if you are speaking to them directly. That way, you’re likely to generate a positive response from your target audience. 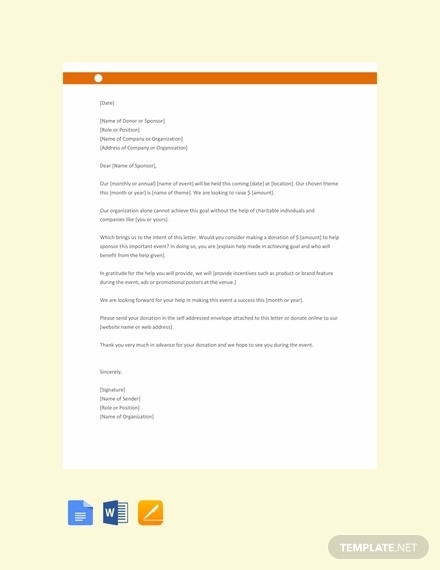 Make a list of people to whom you want to send the donation letter to. It can be anyone from potential sponsors to existing donors who have supported your campaign or organization in the past. You need to be careful about who you choose, as not everyone will be too happy about receiving another donation letter for the nth time in the last four months. Hence, make sure you put some good thought into the list before making your appeal to prospective donors. While using figures and pie charts may seem like a good idea, there’s nothing better than telling a compelling story to help get your point across. This makes your cause all the more real for readers to take in. It’s best to choose an inspiring story from one of your beneficiaries for donors to witness the actual product of their donations. You can say something about the individual, their situation, and why we are encouraged to support them. Make sure to translate these thoughts into words that readers can relate to. They say that adding a P.S. 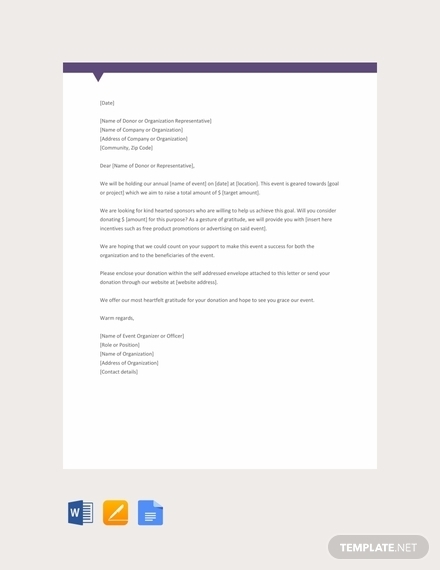 at the end of your letter can appear sloppy and unprofessional. But contrary to what many believe, studies show that this is the first part of the letter that donors read following their name in the greeting. Thus, it’s a good idea to sum up your entire message through a short sentence in your postscript. This must be compelling enough to make a lasting impression with your audience. 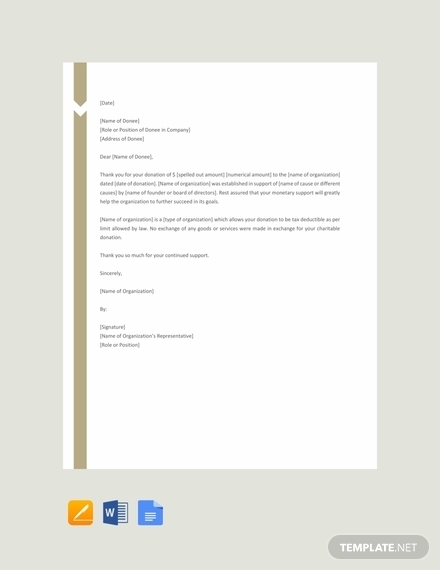 Use a proper format: Donation letters are basically business letters written in an informative yet creative structure. Applying the right format to your letter will help keep the document clean and organized for readers to easily find what they are looking for. The letter must be comprised of the necessary elements and parts as well. Keep it brief and to the point: The length of your letter usually depends on the direction you are going with your message. Bear in mind that short letters are only good if they successfully convey the point you are trying to make. If you have a hard time composing your letter, try writing how you normally would and then cut out sections that may not be relevant to your main message. 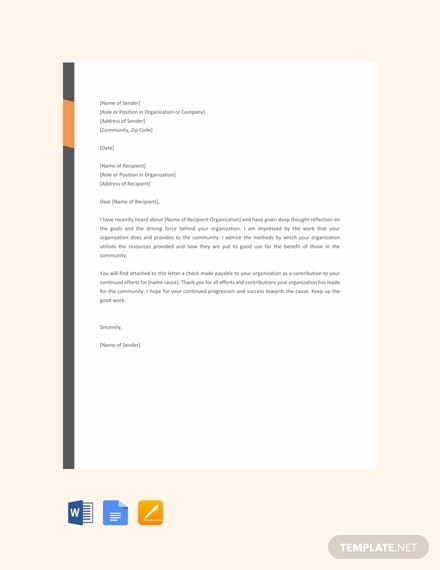 Humanize your message: A clever way to garner success with your donation letter is to create a personal connection with readers. Let them see the problems that they may not be aware of, provide a solution that they can take part in, and paint a picture that they can remember long after they have read your letter. Good storytelling can go a long way in inspiring recipients to take action. Add photos or testimonials to support your claims: Naturally, people would want to know how their donations will be used to support your cause. These benefits will motivate donors to share what they can to those in need. If adding photos or testimonials isn’t possible, you can always specify how the collected funds will be used for your campaign. Proofread and edit your letter: Always look out for spelling or grammar mistakes that may have been missed. The last thing you would want to do is to send a letter with multiple errors in its content. Review the letter and apply the necessary adjustments before printing. You can also have a colleague check your letter for further assurance. 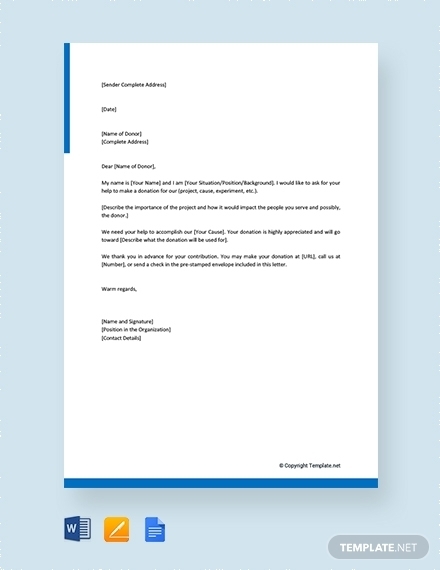 Donation Request Letters: These are nonprofit fundraising letters that charitable organizations send out to potential or existing donors individually. Many nonprofits suggest writing and sending these letters toward the end of the calendar year, as this is the time when donors begin determining their pre-tax season finances. The months of November and December are also known to be the most charitable months for most donors, which gives your request letter a higher chance of encouraging a donation. 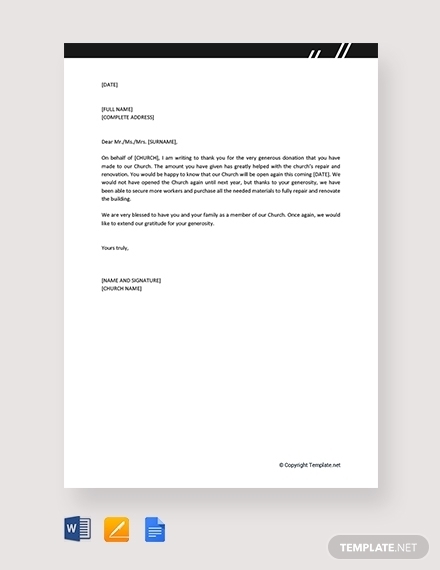 Church Fundraising Letters: Church fundraising letters are probably the most popular type of donation letters there is. 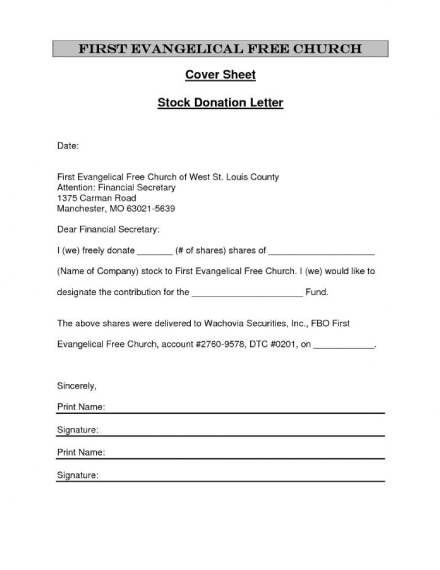 They can be used to ask for general church-related contributions from members of the audience, along with other specific fundraising efforts such as event donations, charity auction item requests, mission trip funding, and missionary support. Individual Fundraising: Nonprofits aren’t the only entity that require donations for a particular cause. There are several cases where everyday individuals need to raise money for a project, cause, or life event. This can be used to shoulder a person’s medical bills, funeral expenses, or even one’s education. Fortunately, many community members and local businesses are open to supporting these fundraisers as long as they are made known. 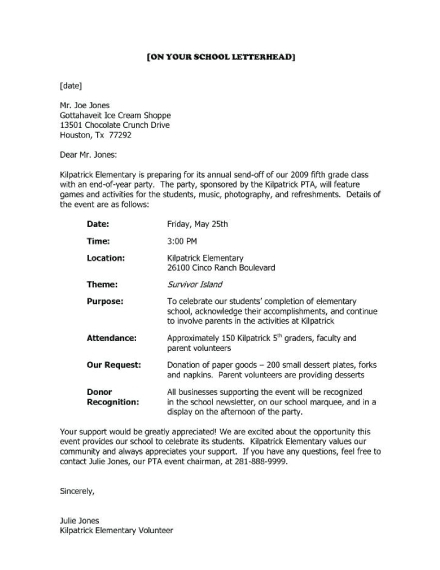 Sponsorship Letters: These are often used by academic institutions and nonprofit organizations that are looking to receive sponsorship donations from established corporate entities for a specific project or event. 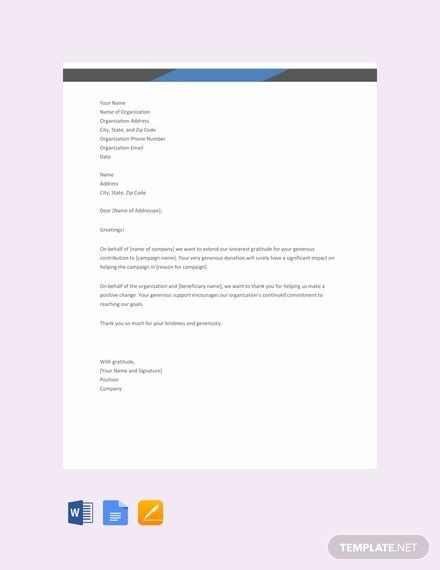 It is normally comprised of a proposal cover letter for easy reading, a sponsorship levels document, as well as an acknowledgment letter. 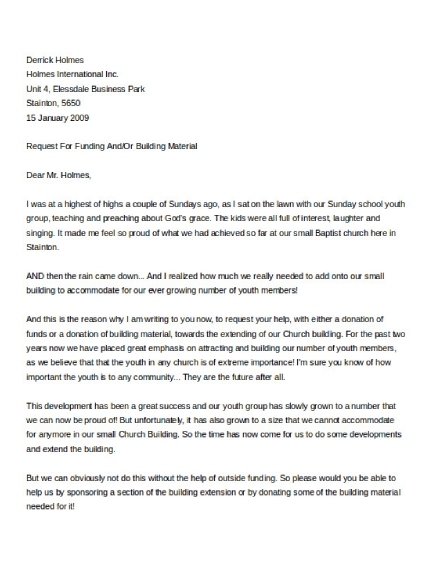 How do you write a good donation letter? 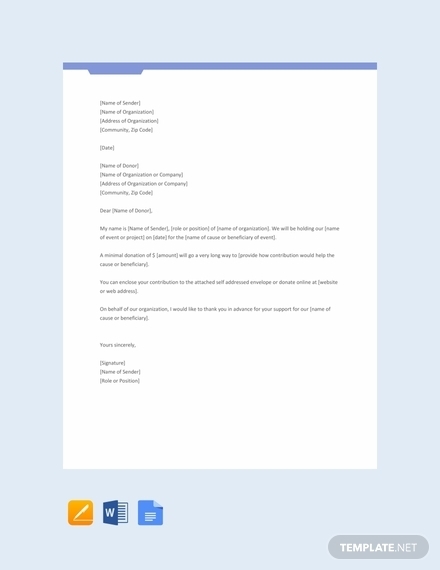 The letter should be centered toward the needs and requests of donors. It must begin with a personal salutation or greeting. It must be kept short and sweet. It should be addressed and stamped in an envelope. 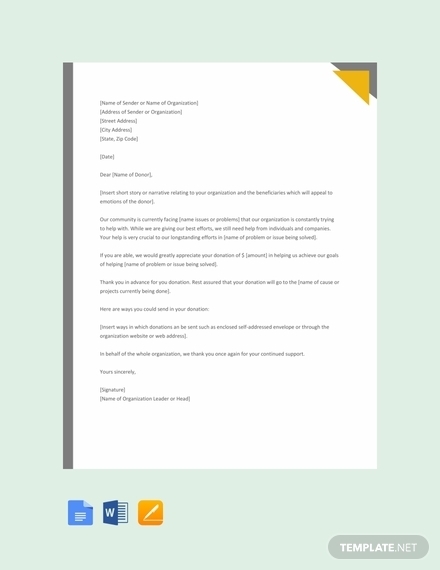 Don’t forget to sign the letter for credibility purposes. A donor acknowledgment letter is more than just a thank-you letter addressed to donors. Tax-exempt nonprofits typically have a few requirements to follow, which includes providing donors with a receipt-like document (or acknowledgment) to prove that the donation was made and received by the intended organization. So there you have it! 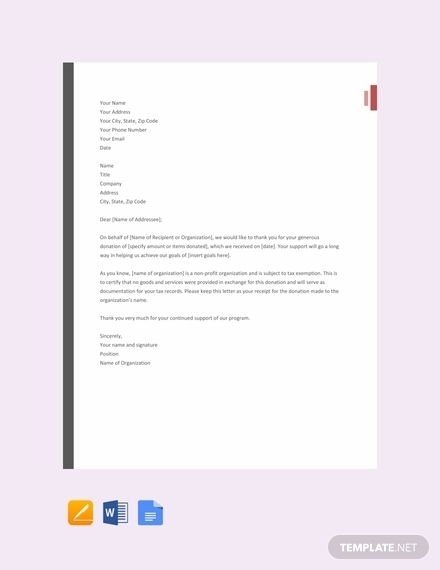 Raise awareness and funds for your cause by writing a professional letter using the donation letter templates and examples provided in this article.